There are an impressive number of radio programmes throughout the world dedicated to the classical and flamenco guitar, some exclusively focusing on classical guitar, and some include the guitar. These offer an opportunity to listen not only to newly released recordings but also some very special historic recordings. They often include live interviews with the guitarists and sometimes with composers. I start with one of the oldest programmes from Buenos Aires: Sebastián Domínguez and Fabio Caputo established the weekly programme De Segovia a Yupanqui, 36 years ago on Radio Nacional Clásica; it is broadcast every Sunday on FM Clásica 96.7 at 6pm (10pm London time). One can listen online. The Spanish classical music radio station, Radio Clásica (RTVE) broadcasts their programme, La Guitarra, produced by Ángel Sánchez Manglanos each Sunday at 5pm (Spanish time). It is possible to Listen Again to past programmes dating back to 3 July 2011. On 28 June 2015, the title of the programme was Despedida (Farewell). Fortunately, it was only a short-lived farewell and the programme recommenced on 7 October 2017. Here is the programme of 11 November 2017, celebrating the 90th anniversary of the birth of Narciso Yepes. In his programmes Miércoles de guitarra, Alfredo Escande covers the international guitar scene, the history of the guitar, its performers and repertoire. Miércoles de guitarra is the Wednesday feature on the daily on En la Tarde del Sur programme (Monday–Friday) broadcast from Montevideo on Emisora del Sur, and produced by Numa Moraes in collaboration with Dinorah Santomauro. To listen to Miércoles de guitarra click on Wednesday at 9.20–10.40pm (Montevideo time), 6.20–7.40pm (London time). Fortunately, there is plenty of opportunities for Listening Again, including programmes from January 2014 up to the present. Below, I highlight below some of the programmes dedicated to Uruguayan guitarists, because it gives us some perspective on the rich contribution that Uruguayan guitarists have made to the international world of music. Tony Morris’ Classical Guitar Alive programme has been broadcast since 1997; it is an NPR-distributed radio programme. There is a healthy collection of Listen Again programmes available. 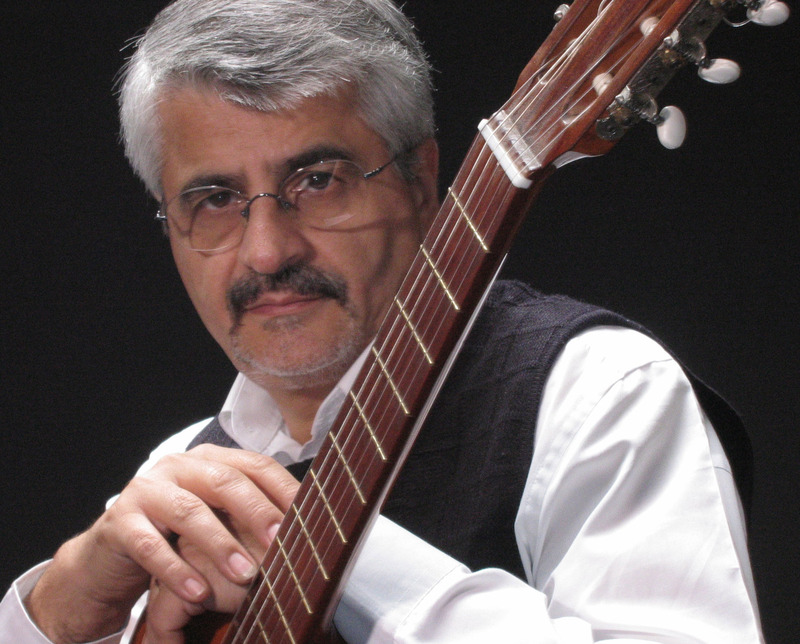 The Brazilian guitarist, Fábio Zanon, produced and presented his series, Violão com Fábio Zanon for Rádio Cultura de São Paulo. Fortunately, the archive of 161 programmes, which were broadcast for three years from 2006, are still available for listening. The full list is here. The BBC no longer has a regular radio programme dedicated to the classical guitar; those halcyon days of Gareth Walters (1928–2012) travelling to international guitar festivals to make recordings which were broadcast on BBC radio are sadly gone. Written by Joaquin Rodrigo in 1939, the Concierto de Aranjuez is a guitar classic. It was written amid the chaos of the Spanish Civil War, and in circumstances of poverty and personal tragedy. Soul Music explores how the piece touches and changes people’s lives. The composer’s daughter Cecilia Rodrigo explains how the blind composer was inspired by the fountains and gardens of the palace of Aranjuez. Nelício Faria de Sales recounts an unforgettable performance deep inside one of Brazil’s largest caves, while David B. Katague remembers how the piece got him through a difficult period of separation from his family in the Philippines. Guitarist Craig Ogden explains the magic of the piece for a performer, and actor Simon Callow recalls how hearing the piece was a formative experience for him during his schooldays, when it turned rural Berkshire into a piece of Spain. This new section of my blog, by necessity, is a ‘work-in-progress’, so I ask for your patience as I slowly build up the list. Of course, I welcome correspondence from readers with suggestions of radio programmes.